(BPT) - It's storm season across the United States, and with the wind and rain also comes power outages. No matter where you live, power outages are likely to happen at some point. That's why now is the perfect time to be proactive. Even if they last for just an hour or two, power outages are a major inconvenience. Here are 10 power outage hacks from the experts at Kohler Generators that can help you ride out the storm, making things a bit easier and more comfortable for you and your family. 1. Homemade headlamp lantern: Start by filling a gallon milk jug with water and screw on the cap tightly. Strap a headlamp to the jug, facing the light inward. The water amplifies the light to create a “lantern” to illuminate an entire room. 2. Worry-free cooler: When a freezer loses power, food slowly thaws and ice melts, making a huge watery mess. For temporary worry-free cooling, turn your clothes washer into a cooler. Open, fill it with ice and any other items that need cooling, then close. As the ice melts, the water will go right down the drain. 3. Safe drinking water: If a storm is in the forecast, fill up milk jugs with tap water and freeze. This "block" of ice can be used to keep food cold or you can use it for safe drinking water as it melts. 4. Toys for kids: When making a preparedness kit with necessities like flashlights and a first-aid kit, make sure to add in some items for the kids. A small bag of toys and a few puzzles or coloring activities can keep kids occupied when there's no electricity. 5. DIY candles: Place a cotton ball or string in the middle of a can of cooking oil. Light the cotton end to create a candle. 6. Fill up on propane: Hot food is a missed luxury when the stove doesn't work. Plan ahead by keeping your grill and a tank of propane at the ready so you can cook or heat up food. 7. Extend phone battery: Close unused apps and put your phone on airplane mode to save battery life. Only use your phone when absolutely necessary. 8. Clean up with baby wipes: A few boxes of baby wipes are a cheap way to stay clean if your sink or shower doesn’t work. Plus they're great for wiping up drips and spills. 9. 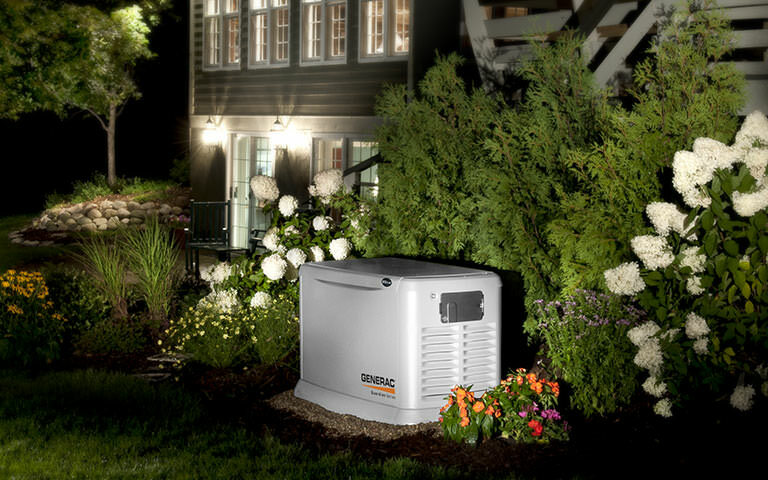 Invest in a standby generator: A permanent, standby generator by Kohler features a commercial engine that automatically turns on during an outage to power lights, heating/cooling systems, refrigerators, sump pumps, home security systems and more. Learn more at KohlerGenerators.com. 10. Turn off and unplug: Turn off major appliances such as water heaters, stoves and air conditioning units. Unplug other appliances such as TVs, stereos, microwaves and computers. This will prevent damage to appliances and possible overloads to the system when power is restored.